Called bubble tea and pearl tea by others, boba tea is a beverage that has several names and comes in many flavors. 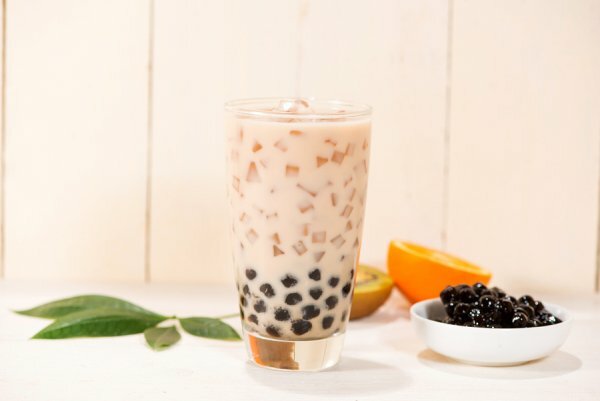 What boba tea is most known for, however, is the layer of chewy, tapioca pearls that fill the bottom of the cup and make the drink unique among beverages. Watch this video to see people try their first boba tea. Some individuals find that the tapioca pearls are better suited to some flavors than to others. Also, how much someone loves their boba tea often depends on the flavor that they try. With so many options to choose from, you’re sure to find at least one favorite. If you’re ready to try your first boba tea , then come and see what we offer at Happy TeaHouse & Café. 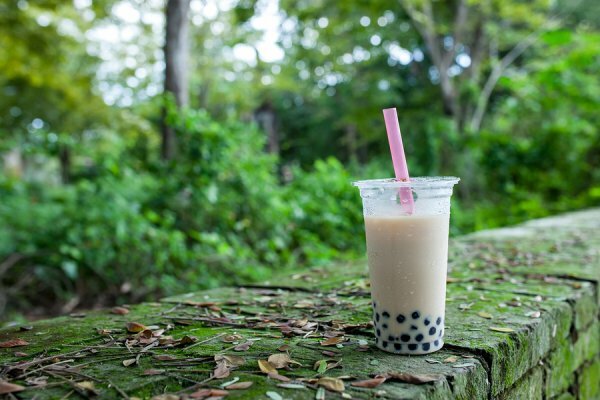 To learn about our boba tea menu, please call our tea house in Houston at (713) 469-3275. 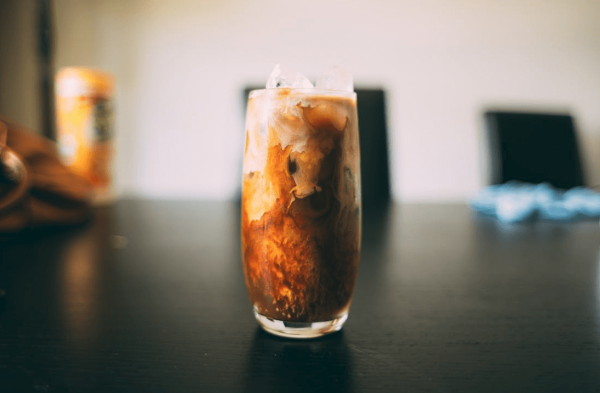 If you’re a fan of bubble tea, then you may be wondering if you can make this delicious beverage at home. Watch this video to learn how you can cook boba pearls from scratch to make your own bubble tea. First, be sure you have about 2 hours available. Second, gather boba pearls, brown sugar, and honey. Then, fill a stock pot with about 8 cups of water and bring it to a rolling boil. Next, add in your boba and stir frequently for the first few minutes to prevent the boba from sticking to one another. Do you love bubble tea? If so, then come and see us at Happy TeaHouse & Café. In addition to offering many flavors of bubble tea near Houston, we are open late, have free Wi-Fi for customers, and serve smoothies, snacks, and food. Please call us at (713) 469-3275 to learn more. 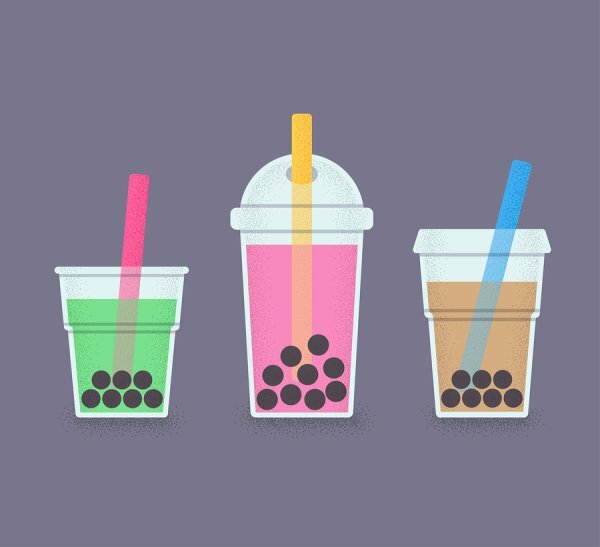 If you’re a fan of bubble tea, then you’re probably familiar with boba. 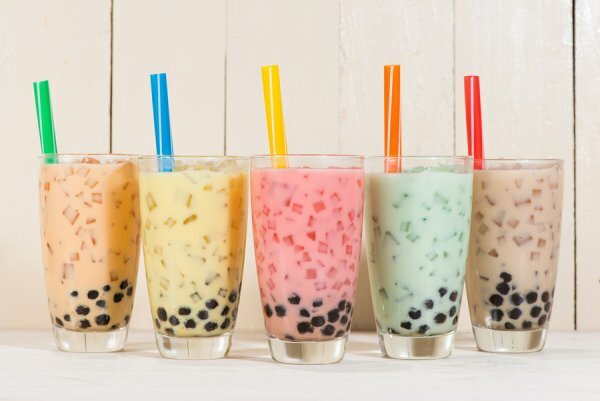 Sometimes referred to as the bubbles that sit at the bottom of a bubble tea drink, the bobas are made from a type of tapioca pearl. Today, you can find many varieties of boba. Standard boba pearls are made from cassava root, which is a starchy tuber that is related to the yam. Tapioca starch is made from the cassava, and this starch is then compressed into balls to make tapioca pearls. Because of their clear color, traditional bobas can be made in a wide range of fun, bright colors. 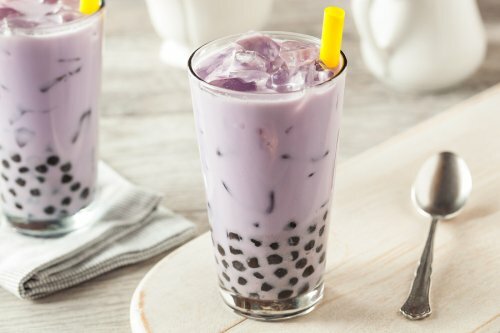 The dark colored tapioca pearls that are a popular choice for bubble tea drinks are called black bobas. They are made in the same way that clear bobas are, except with the addition of caramel coloring or brown sugar to give them their dark color. To increase the versatility of boba pearls, some locations offer flavored varieties. Flavored bobas are normal tapioca pearls that are cooked with or coated in a flavored syrup. The flavor possibilities for these pearls are endless, but some common favorites include honey, watermelon, orange, and strawberry. To take the concept of flavored boba a bit further, popping bobas were developed. This boba variety is filled with fruit juice. When you bite down on a popping boba, it bursts inside your mouth, releasing the sweet juice. Popping boba comes in many flavors, with some popular ones being mango, passionfruit, banana, and pineapple. When cooked, traditional boba is about ¾” in diameter. Mini bobas, as the name implies, are much smaller. Mini bobas are about half the size of regular bobas, meaning that they cook faster and smaller. Some people may find that mini bobas are easier to chew than the larger variety. At our bubble tea shop in Houston, we provide free Wi-Fi for our customers, are open late, and offer boba and delicious tea flavors for you to try. To learn more about Happy TeaHouse & Café , call us today at (713) 469-3275.